I’ve been thinking about a woman I knew named Ruth. I’ve mentioned Ruth in a past blog but she’s worth mentioning again. I was at a luncheon at a friend’s house and Ruth was there sitting at the kitchen island. I didn’t know Ruth really well. I had only spoken to her a couple of times before but she was one of those people who you feel like you’ve known all your life even if it’s only been all of three weeks. Ruth had a deep faith life. She knew and loved God and it showed. Needless to say, no one had ever asked me that before or since. And that is too bad because that inquiry led to an amazing conversation on an average day at noon in the middle of a kitchen full of unsuspecting women chatting over chicken salad and croissants. It was such a freeing experience for me. I think that is why it has stuck with me. I was given the opportunity to talk to someone about the God of my understanding as limited as that understanding was. Someone who didn’t judge me, correct me, or try to influence me. Someone who just smiled, listened, and encouraged me with her acceptance. 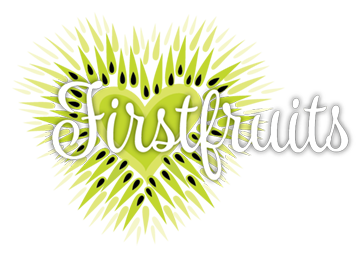 This coming season of Firstfruits we are going to invite you, as Ruth invited me, to tell us about the God you know, or don’t know, or wish you knew. 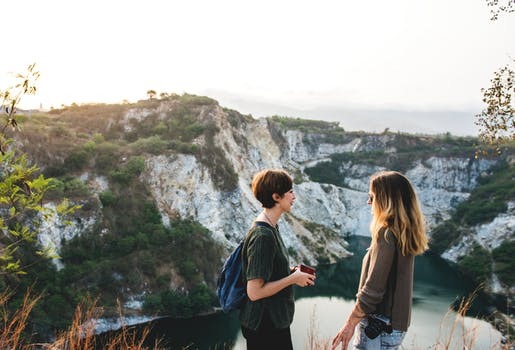 We want to provide a place for you to be honest and open about your relationship with God and feel the same freedom that comes from acceptance. Later in life when she was struggling with Parkinson’s, she would tell me how angry she was at God because she tried to be good all her life and couldn’t understand why she was “given” this suffering. She never gave up on God though. I think if you asked Florence to tell you about the God she knew she would say that he can take it, so go ahead and tell God when you’re angry, when life isn’t fair, when you want the suffering to stop and the good to come. Speak up. He won’t get mad at you for being honest. He’ll just keep loving you. The moment of her death was so peaceful there was no doubt the God she knew was there loving her. So … tell me about the God you know.